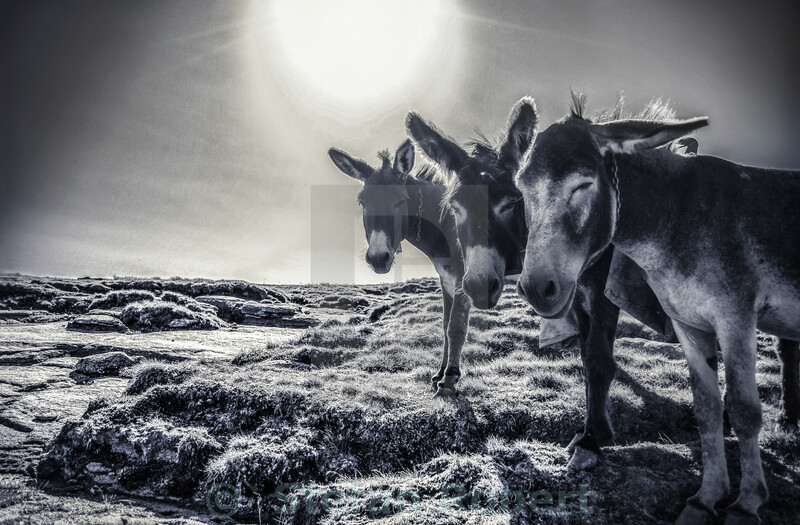 In this picture you can see portrayed 3 donkeys with a bright backlight, giving it a divine and happy look. The artist captured this moment in the montains Bucegi at the Omul peak, the mountains where in Dacian mithology, the god Zamolxis (on that time the mountain was known as Kogaion) was living and praying for humankind. You can easly associate this picture's warm feeling and story with the 3 donkeys that carried the three wise man on the way to Bethlehem to meet Jesus Christ given the real story of the picture and the smilitude to the stories.